Gumball Rally - I Say Ding Dong Shop - Buy Stickers, Decals & Unique Automobilia. Gum Ball 3000 Black & Silver/White/Gold Sticker. 4.5". 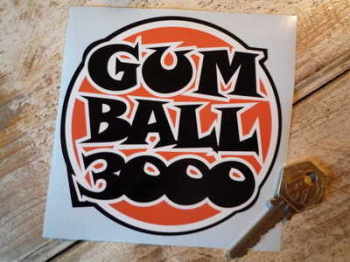 Gum Ball 3000 Orange, Black & White Sticker 4.5"